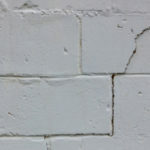 Tuck Pointing, Brick and Chimney Repair Toronto | Turnbull Masonry Ltd > Blog > Blog > When is the Best Time of Year to Fix Concrete Cracks in Toronto? As concrete installation and repair specialists, we are often asked: what is the best time of year to fix concrete cracks? The most important factor when it comes to repairing concrete is temperature. In Toronto, temperatures fluctuate based upon season. Ideally, for optimum results, temperatures should be at or above 50 degrees F, and at or below 75 degrees F at the time concrete crack repairs are conducted. The goal is to avoid working when temperatures are too cold and the potential for cracking and freezing increases. Additionally, you want to avoid working in temperatures that are too warm because then concrete may not set properly. The weather on the day you choose to make repairs is important, but so too is the weather for the next 2 to 3 days. You want to be certain that the weatherman doesn’t call for rain or snow over the next several days. 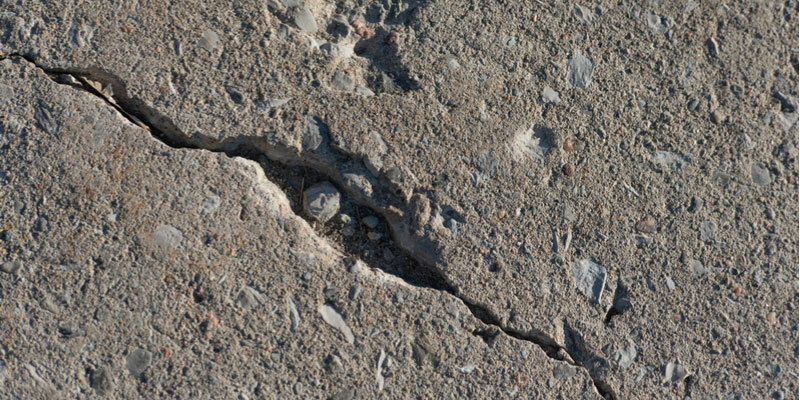 The best time of year to fix concrete cracks in Toronto is between May and October. This time frame is when the weather is the mildest, and your chance for fair conditions is higher than other times of the year. 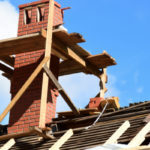 Even if you are repairing cracks in this ideal time frame, it’s still important to check the weather to ensure there aren’t any upcoming surprises. 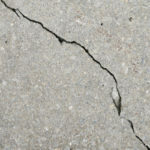 What happens if you install or fix concrete cracks when it’s too hot? When it comes to installing or fixing concrete, there are several issues that can be caused by heat. For one, concrete produces heat as it sets. As part of the setting process, crystals grow around the aggregate particles. Yet, too much heat can cause concrete to set too rapidly. As a result, the crystals don’t have enough time to form adequate strength. While early strength might be fine, long term (post 28-day strength) will decline. If temperatures are just 18 degrees higher than preferred, concrete’s compressive strength tends to be around 10% lower. Plus, pouring or fixing concrete in hot weather requires adding more water to the mix. This additional water can contribute to a 10% reduction in strength as well. With hot sun baking down on surfaces, you’ll notice more drying and surface shrinkage. What happens if you install or fix concrete cracks when it’s too cold? 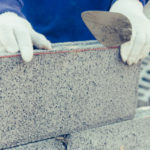 The first issue with concrete in cold weather is the fact that it can freeze before it has a chance to obtain the proper strength. Therefore, this breaks up the solution. Additionally, the cold weather makes concrete set slower. Temperatures between 40 and 50 degrees F cause a very slow setting process. Yet, when temperatures fall below 40 degrees, the hydration reaction virtually ceases and the concrete cannot gain strength as it normally would. Certain materials react worse to cold weather than others. For instance, fly ash or slag cement tend to set more slowly and naturally release less heat, even in warm weather. Concrete mixes can change when exposed to cold weather. Accelerators are often added to the mix to help speed up the setting process in cold weather. While this can help, it doesn’t offer the same strength and stability as it naturally would in more ideal weather conditions. Turnbull Masonry is here to help you figure out the best time of year to fix concrete cracks for the longest lasting solution. There are temporary fixes that can be applied to prevent cracks from worsening before proper repairs can be made to surfaces. Contact us today to learn more or to get a quote.